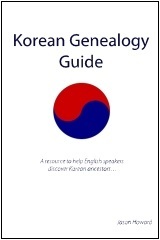 Family Search added outstanding video tutorials on how to do Korean Genealogy! Here is a great list of websites for families in Korea. Many have searchable online JokBo and KyaeBo records!